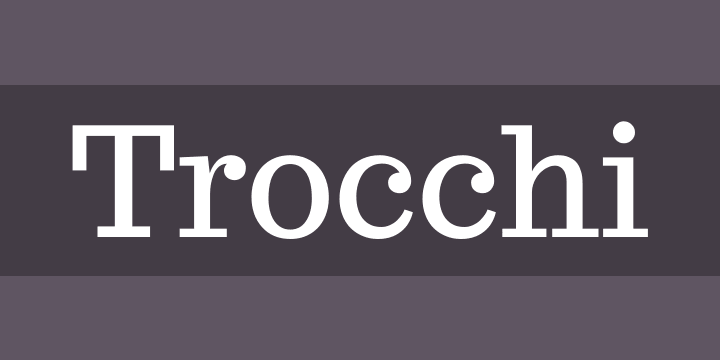 ‘Trocchi’ is a design derived from a number of old faces from the English typecutter Vincent Figgins (1766-1844) including Nebiolo’s ‘Egiziano’, and Caslon & Co’s ‘Antique No.4′ and ‘Ionic No.2′. Trocchi derivates from these earlier designs to produce a more casual slab serif. Trocchi is designed for use both as text and display type. The font is named after the Scottish novelist Alexander Trocchi.